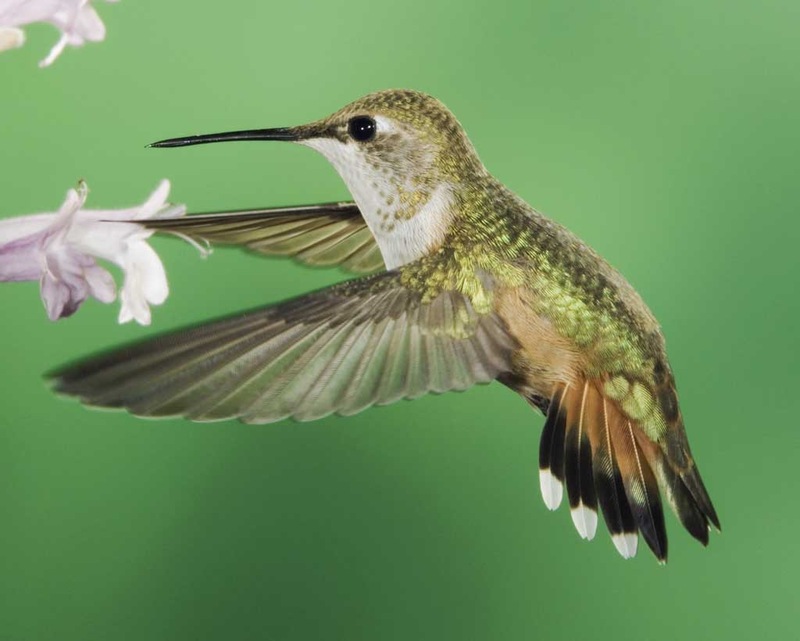 Alaska has a lot of summer visitors, one is the Rufous hummingbird, the only hummingbird that visits the Last Frontier. At only 3″ tall, with a wingspan of about 4″, the Rufous is quite the robust traveler. They winter in Mexico, start their crossing of the Rocky Mountain states in late spring, and spend the summer in the Northwest, Canada and Alaska. For many of the speedy flightsters, it can be a 7800 mile round trip. They are quite territorial over both nesting and food sites, and have been known to attack chipmunks that get too close to their nests. The main, natural predator is snakes, which makes Alaska a wonderful breeding ground. This entry was posted on Saturday, July 22nd, 2017 at 10:20 AM	and tagged with Alaska, Canada, Mexico, photo, rufous hummingbird, travel and posted in wildlife. You can follow any responses to this entry through the RSS 2.0 feed. « Was that a Monday?